This language arts poster is one of a set of 12 posters that explain the different forms of poetry. 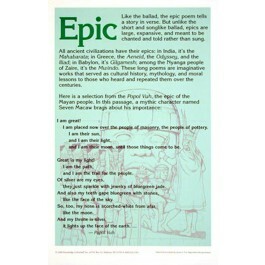 This poster explains what an "epic" poem is and how epic poems were part of the cultural tradition of all ancient civilizations. 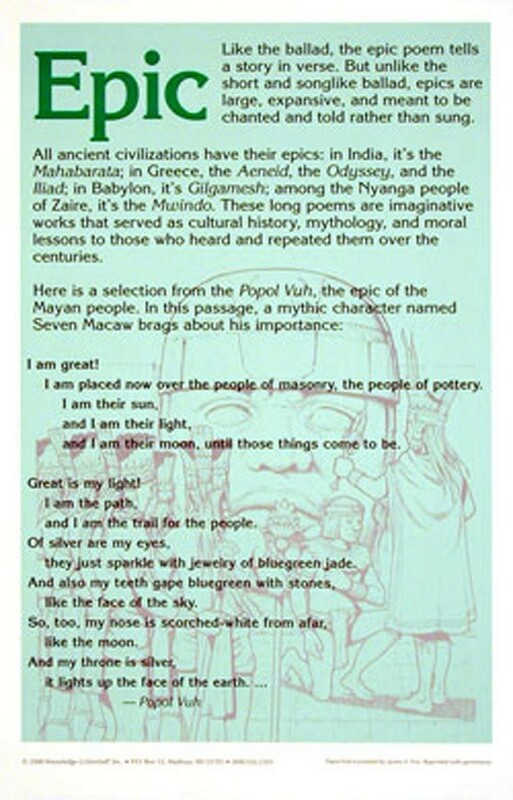 The poster features an excerpt from "Popul Vuh," the epic poem of the Mayan people.